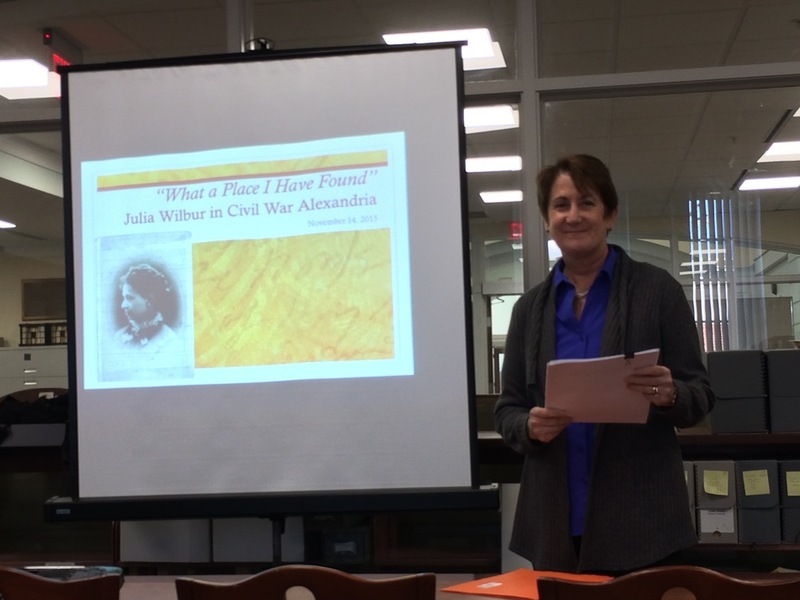 Last Saturday, I spoke about Julia Wilbur and Civil War Alexandria in the Special Collections Branch of the Alexandria Library. I regularly use the collection, so it was great to present there. In the q-and-a, someone asked what Julia would have thought about sharing her diaries with others. I have thought about that before, particularly when she goes on (and on) about missing her niece Freda. The rawness of her emotions makes me cringe. She often wrote about going back through her diaries. She could easily have taken out pages or crossed lines out. She even started to prepare a "best of" version--what she called "journal briefs" that she copied from her diaries (1844-end of 1862) onto legal-sized paper. Some personal things are not spelled out, as if she knew not to commit the specifics to paper. She would say something like, "Certain people have disappointed me today." And there is nary a clear word (maybe a few cryptic references) to her sister's divorce and other explosive, personal matters. As noted by Steven Stowe on George Mason University's History Matters website, "few historical texts seem as familiar--or as compelling to read--as personal letters and diaries." They are private but also public in the sense that the writers tended to follow certain conventions of the time--commenting on the weather, health, hinting about deeply personal matters, etc. Julia Wilbur's diaries in the 1800s are from her own pen, but consciously or not, reflect how other women of her age and class might have expressed themselves.